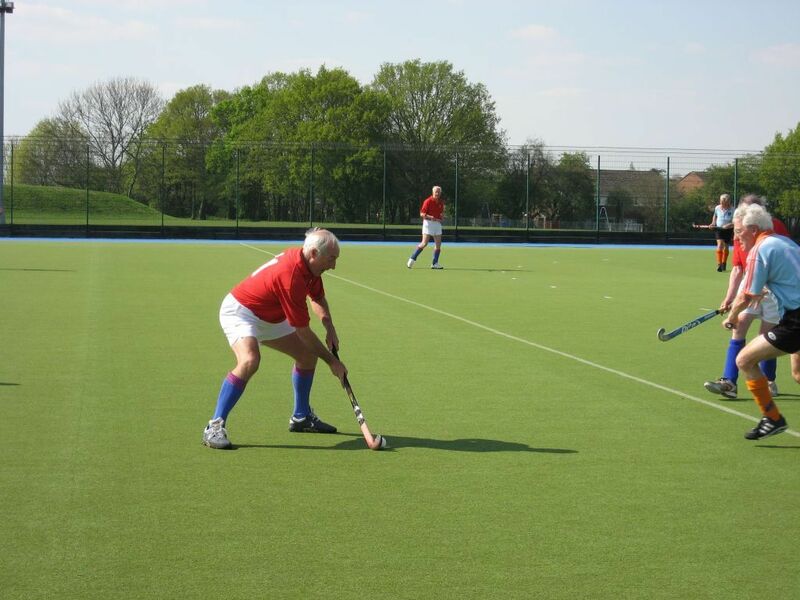 After the first Over 70s match with our Dutch friends last year we had gained some new septuagenarians – David Wilman, Leon Mack and Mike Beaney; also available was John Davey who had been unable to go to Rotterdam last year. We looked stronger ‘on paper' than last year. 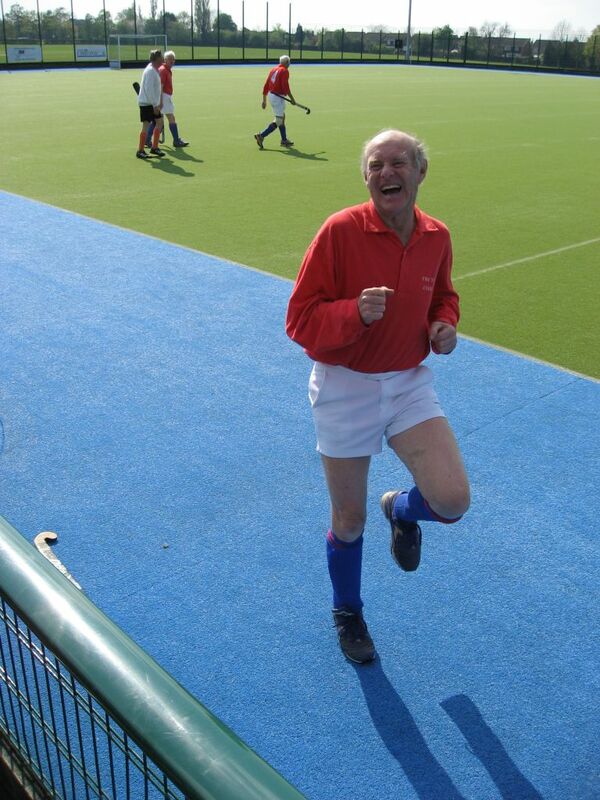 Our first game was played in lovely warm sunny weather on the water-based pitch. The first half was tightly contested, with a couple of half chances, but 0-0 at half time was perhaps flattering for the LX team. Four team changes at half time were made to bring on fresh legs, and a few words of wisdom from Gerald seemed to put more fight into the team. The first goal came from Dominic Bann who tapped home a loose ball after Gerald's shot was blocked. The Dutch replied with a cleverly taken deflection off a short corner strike and the game looked like a draw, until Dominic did one of his magic runs into the circle. He was surrounded by defenders, yet still managed to get a successful shot on goal inside the near post. There were some very solid performances by LX players especially John Davey, David Wilman, Ian Russell, Tom Darlington and Mike Beaney, who cleverly read the interplay between Bob Christensen and Albert van Nierop and on two notable occasions beat them, first by closing Bob down to prevent a legal scoop over the defence and on the second occasion by racing in to collect the dropping ball. The game was well umpired by Frank Lockhart and Robert Nourse, who seemed to enjoy the occasion as much as the players. It was heartening to hear the chorus of our supporters – the ladies, plus David Gill, David Read and Guy Jillings. We thank them all. At 7.30 p.m. the hosts entertained our visitors with a dinner at the Miami Hotel in Chelmsford which was well received by everyone. Probably fortunate that the restaurant ran out of red wine which ensured that everyone went to bed sober and before 11.00 pm! Keith Hedley, Geoff Turk and Ian Russell were unable to play in the second game so Gilbert Grace was called into the reduced squad, resulting in there being only two substitutes and many positional changes from the previous day. For three quarters of the game the Dutch controlled the play. Their stopping and distribution was superior and their movement off the ball left the LXers very much on the defensive. Fortunately for us, the visitors could only score once during this period of dominance. For the last quarter, a couple of team changes seemed to inspire the team to play their best hockey of the two days probably helped by the visitors tiring limbs! John Davey made a great goal by driving through to the back line and then firing in an accurate cross. Dominic and Brian vied with each other to turn it into the net, and Brian succeeded in scoring, after being back on the field for only 3 minutes! There then followed a frantic period with both sides trying for a winner with near misses at each end, until after a fierce shot on their goal was well stopped but fell into open space for Brian to step forward and calmly tap in his second goal. It was a great comeback and perhaps illustrated the importance of match fitness, as in both games we only seemed to take control in the last minutes. We must thank the Chelmsford club for hosting the matches and David Simms for organising the event. Thanks also go to Ursula Heelis and Wendy Beaney for umpiring our second game so very well. There followed a brief period of socialising in the club house before our visitors set off on their return journey to the Netherlands. We have played many matches now against the De Zestig Plussers and greetings between opposing players are always warm and sporting. Long may it continue. Squad: Jim Standish. Leon Mack, David Wilman, Geoffrey Turk, Mike Beaney, John Davey, David Simms, Keith Hedley, Dominic Bann, Gerald Wilkinson, Brian Woolcott, Tom Darlington, Phil Realff, Ian Russell, Arthur Barber, Gilbert Grace.